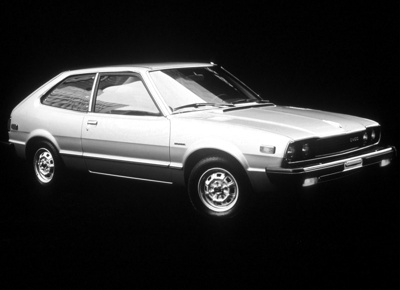 Murky Memories: My first car was a 1981 Honda Accord hatchback. It was silver with cranberry plush interior. It was a stick shift (manual transmission) and it was an awesome car. Over the years, I’ve had the misfortune of being in more than my fair share of motor vehicle accidents, but never in the little silver bullet. I had that car for five years during which time the odometer went beyond 150,000 miles. I drove that car all through the Northeast. Connecticut to Pennsylvania to Massachusetts to upstate New York to New Jersey. All through New York City, the Poconos, and it never let me down. I also was one of those dorks who hung a garter from the rear view mirror. I can still remember hearing a group of people mocking it while my car sat on the ferry from Hyannis to Martha’s Vineyard. But my fondest, and least murky, memories are of zipping up and down the Merritt Parkway in Fairfield County, CT. I miss that car. It served me well.